Paperback Book Covers Many self-published authors start off with ebooks and eventually decide to publish a hard cover or paperback book too. The benefits are tremendous as Amazon will automatically pair your ebook with the paperback on Amazon and it looks very professional to have both available, not to mention the satisfaction of having a paperback copy of your book in your own hands. Createspace.com is Amazon’s paperback wing and offers an opportunity to publish paperback books to Amazon. Kindle Direct Publishing (KDP) is in the process of taking over the paperback wing (Createspace), so that everything can be done in one dashboard. The same cover dimensions that are used in Createspace presently are used in the KDP paperback section, so really the change will not affect anyone in this regard. What is the difference between a paperback book cover and an ebook cover? are designed strictly in 300 dpi, not 72dpi as some ebook covers may be. have a back and spine in addition to the front of the book – and thus comes in a double-page layout – the back page is not only visible in the physical edition, but on Amazon there is a “Flip to Back” button that can enable one to see the back page online – CLICK HERE TO CHECK AN EXAMPLE IN AMAZON. Click the “Flip to the Back” button, then click on the back cover image for a larger close-up view in a new window. Hence back page design is also very important. are normally designed in CMYK colour mode and not RGB due to requirements of printers – this generally results in a slight change in the colour of the book cover compared to the ebook cover that needs to be in RGB for digital display. do not need lettering to be as bold as in the ebook format – in fact the ebook letters need to be scaled down at times otherwise they can really look out-of-place and exaggerated. must have bleed lines around to allow for slight printing shifts – no important images or text should be placed inside this bleed area – often one needs to shift things in a bit from the ebook cover. may have an ink percentage limit (such as 300%) depending on the publisher/printer you use. Where can I get a paperback cover for my ebook? Most ebook cover designers will do the paperback format for an extra fee. 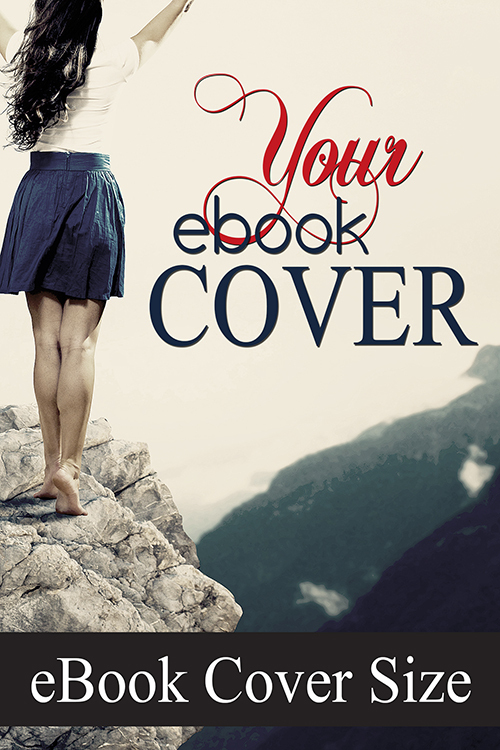 There is also the option to use the online “Create-a-Cover” templates in Createspace to build a cover yourself – however this limits your layout and design options and most authors prefer to have a custom-designed paperback cover that matches with the ebook cover. Usually the text on the front needs to be readjusted too so the ebook cover does not work that well in the online templates. An extra fee? Why? Don’t they just stick the same front cover in and add a simple back side? No, very often the paperback cover is done from scratch in a new file with a double-page layout and much bigger pixel size. The proportions are different from the standard ebook covers, and if the book cover is not done over entirely – placing and tweaking images and text – it will end up looking like this! (Apart from the fact that back covers need designing too! Did you say ISBN? How do I get a barcode? Most publishers have an option to assist you in registering for an ISBN and also for obtaining a barcode. You may have to pay for this. For Amazon KDP there are options of using a free ISBN, a Custom paid ISBN or your own ISBN. Either way KDP will provide a barcode for that ISBN, the designer just leaves a space in their indicated place. 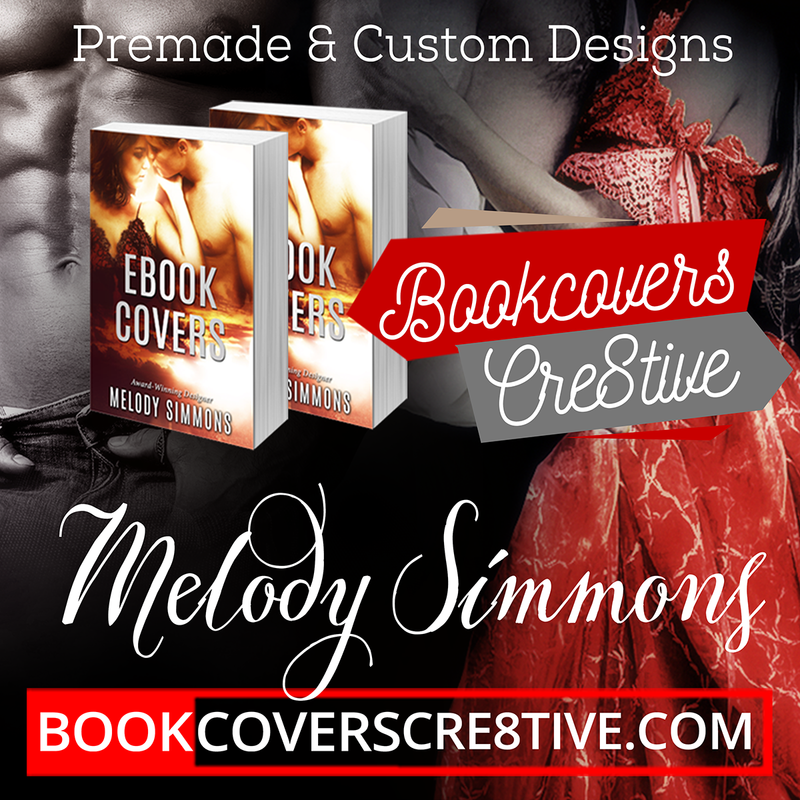 For more details regarding pricing of ebook and paperback book covers, please visit my Pricing/Process Page. Briefly, I charge $75 to turn an ebook cover that I designed into a paperback version. Please note I am no longer doing paperbacks for other publishers apart from Createspace or KDP, due to complications in measurements and other specifications. Createspace is clear in their requirements and I can recommend their products with confidence. I will agree to design for Lightning Source and Ingram Spark under certain conditions found on this page. 3. The exact page count AFTER upload to KDP Paperback (Yes, AFTER UPLOAD TO THE PAPERBACK SECTION – not after upload to KDP Ebook as it will not be the same, and not after insertion into an Interior Template as it will still change after upload) – it has happened several times that an author gives me a page count and then a week later they tell me that after upload to KDP Paperback the page count has changed. Recently I had a case where the page count changed from 160 to 330. That makes a HUGE difference in spine width and size! In such cases I have to redo the cover from scratch. To avoid this please upload the book manuscript to KDP Paperback first and get the exact page count from them before asking me to do the paperback cover. If I am not given the correct page count and have to redo a cover, I will have to charge extra for that. I charge $25 to redo a cover that was incorrect or rejected on account of being given wrong information with regards to book size, page count or paper colour. I will also need the back blurb/summary – either pasted into an email or as a Word attachment. Keep in mind that very long blurbs end up looking crowded and the lettering has to be made small to fit – which can be hard to read. I would say no more than 200 – 300 words maximum is best. Logo (you have to get one designed – stock images may not be used as logos – though some stock sites offer a special logo license but it is very costly). Stock images may only be used if it is an informal unofficial logo that will not ever be registered as a trademark or company logo, so we can use a stock icon as a symbol for the series or informal author icon. To see some samples of eBook covers and their accompanying Paperback Covers, visit my Portfolio or my Print Wrap (Paperback) Portfolio. I have to admit writing the book is easy the cover is getting the better of me. But thank you for the useful advice on your site regarding ebooks and paperbacks, at least that makes sense to me.